Space Exploration Timeline & Future Missions! The Best Children's Site for all things Astronomy, Space and its Exploration! Auroras – The Polar Lights! How Does A Rocket Work? Out Of This World Space Jokes! 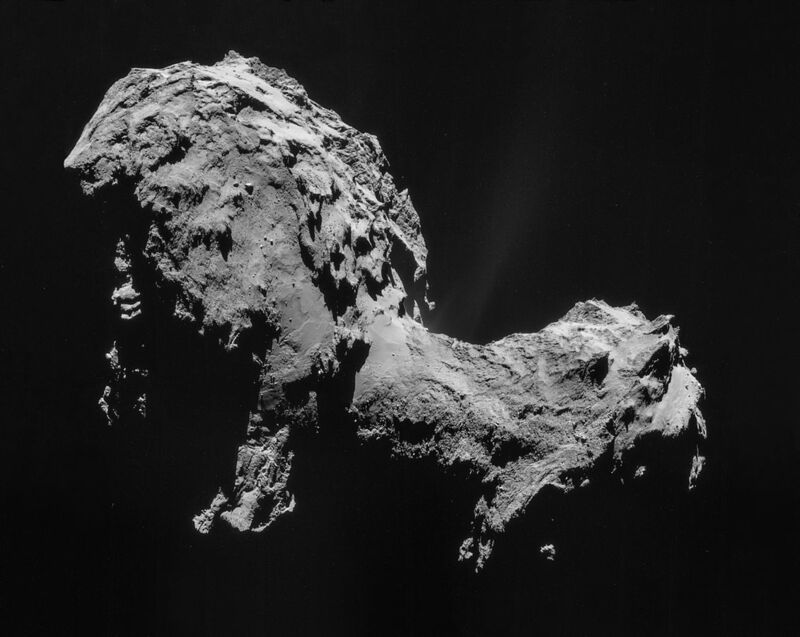 67P/Churyumov–Gerasimenko: Giant Space Rubber Duck Or Comet? 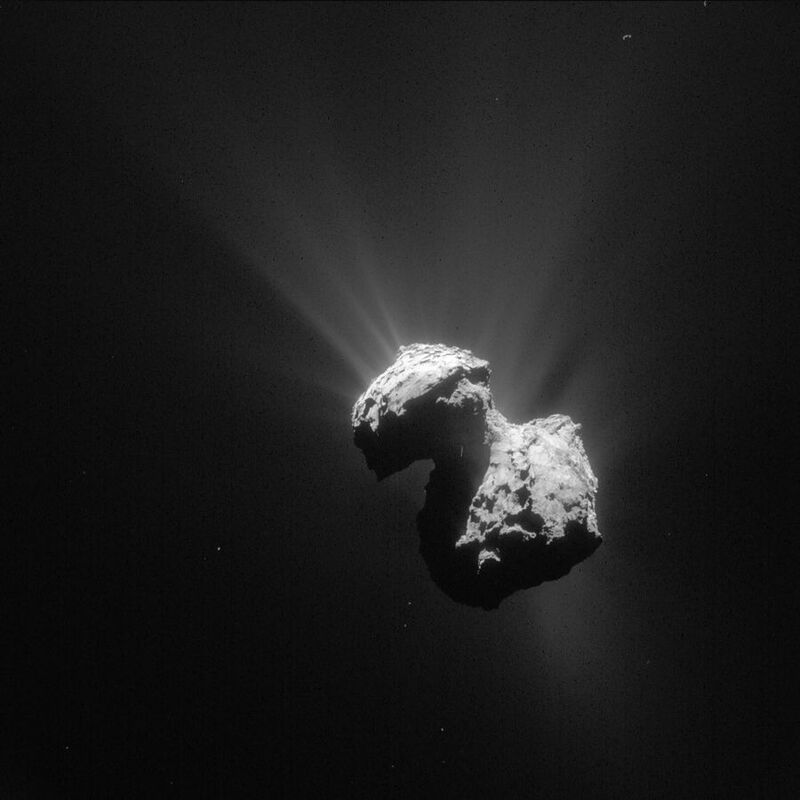 Comet 67P/Churyumov–Gerasimenko was made famous by the European Space Agency’s (ESA) Rosetta mission (2004 – 2016). 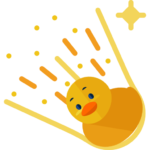 However, it was originally discovered by two amateur Soviet astronomers in 1969 and gained particular fame for its odd shape – resembling a rubber duck! Check out some of the interesting facts and images below about our solar system’s space duck! The comet is made up of two distinct ‘mountain-sized’ blocks which are joined by a narrower ‘neck’ of material. Scientists believe the comets current shape is the result of a low-velocity collision of two objects which subsequently became joined. 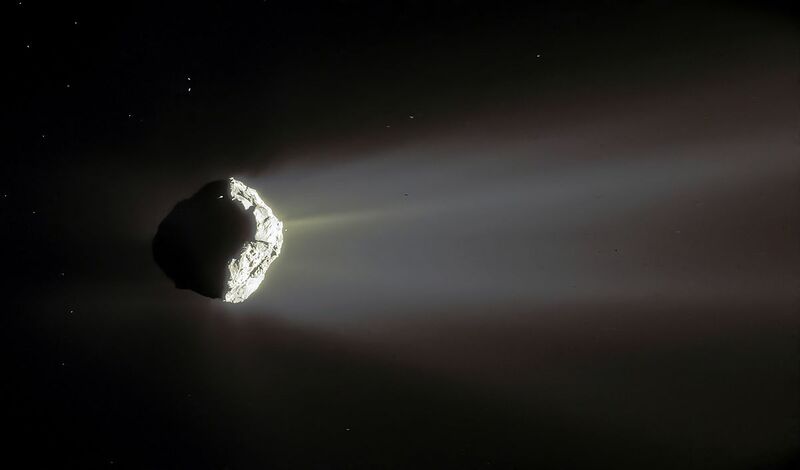 As with all comets, 67P/Churyumov–Gerasimenko (67P/CG for short) is losing material such as gas and dust with each orbit as the surface heats and the gases evaporate away into space; this forms the tail of a comet! Astronomers believe 67P/CG likely formed in the Kuiper Belt and was flung towards the inner solar system at some point. 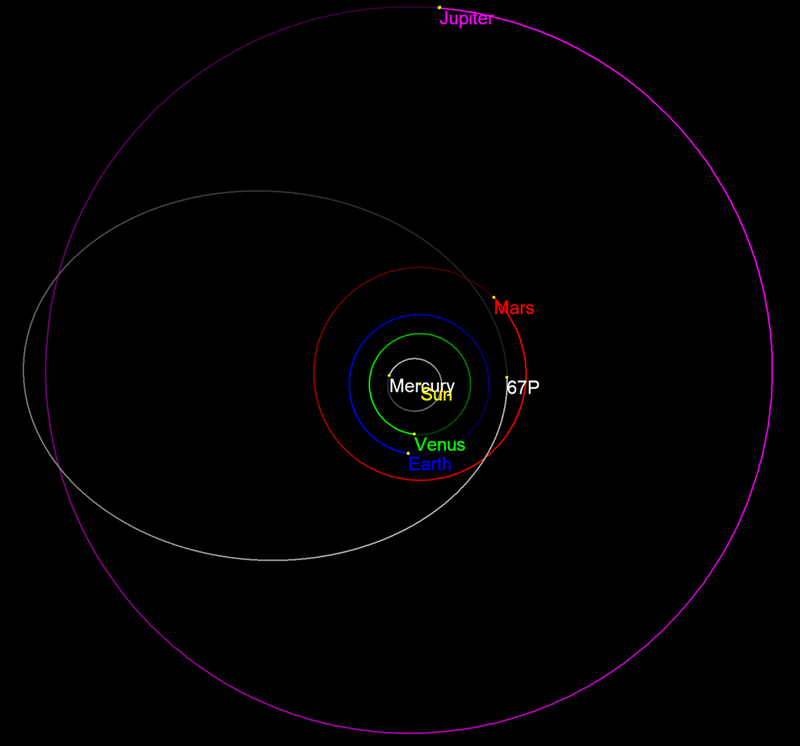 Subsequent encounters with Jupiter’s large gravity field successively changed its orbit. These encounters continue to this day. 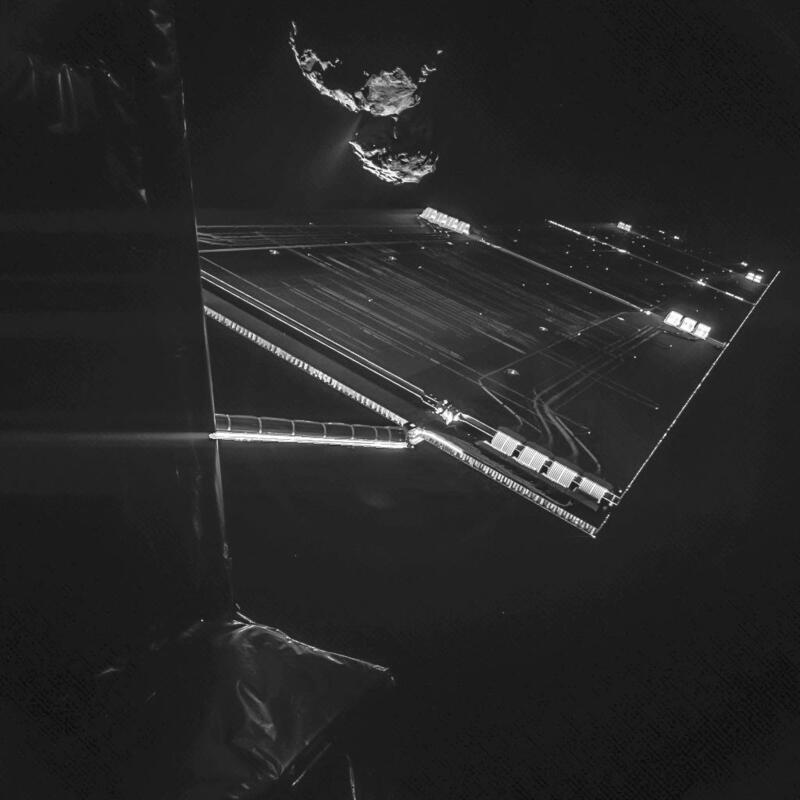 The Rosetta mission which left Earth in 2004, arrived at the comet in 2014 and subsequently became the first mission to land a space probe on a comet! 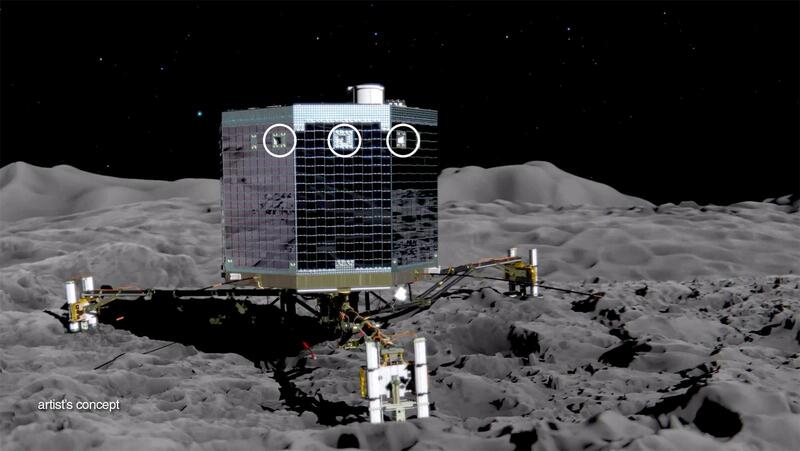 The little lander was called Philae! 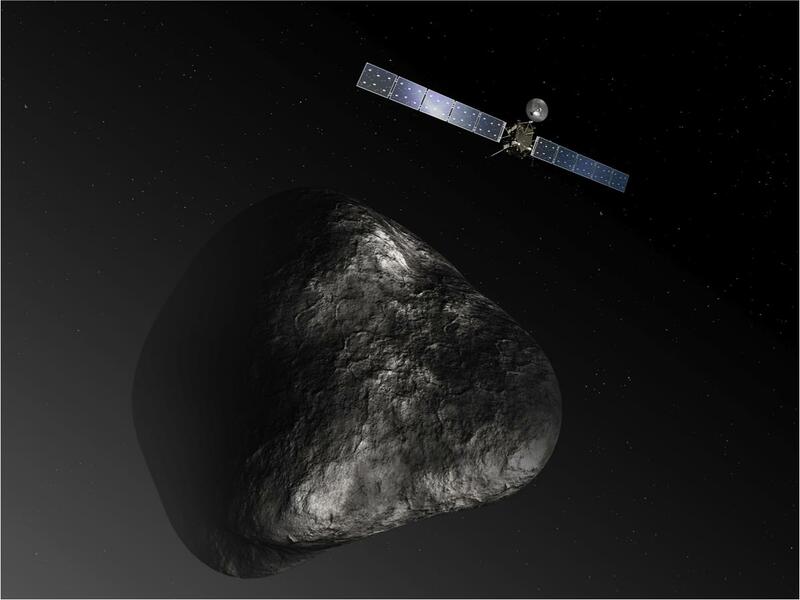 One interesting science finding from studying 67P/CG was that the composition of water vapour according to the Rosetta spacecraft, is very different from that found on Earth. This implies that water probably didn’t come to Earth in its early history from comets originating in the deep Solar System such as the Kuiper Belt, Scattered Disc or Oort Cloud. Check Out Awesome Pages On Spaceopedia! June 2019 - Blue Origin's First Space Tourism Flight! July 2019 - First Crewed Flight of SpaceX Crew Dragon! Aug 2019 - Test Flight of Boeing's CST-100 Starliner! Late 2019 - Virgin Galactic's First Space Tourism Flight! June 2020 - NASA's Orion Journey to the Moon! June 2020 - Launch The Space Launch System Rocket! Mid 2020 - Launch of The Dream Chaser Spaceplane! July 2020 - Launch of the Mars 2020 Rover! Late 2020 - Launch of the New Glenn Rocket! March 2021 - Launch the James Webb Telescope! Mid 2021 - LUCY Spacecraft - To Jupiter's Trojans! Mid 2022 - Launch Psyche Spacecraft - Journey to 16 Psyche! Mid 2023 - SpaceX's BFR 'Dear Moon' Mission! Total Solar Eclipse in Chile - 2nd July 2019! SpaceX's Crew Dragon Manned flight to ISS! July 2nd 2019 - 4 min 33 sec Total Solar Eclipse! December 26th 2019 - Annular Solar Eclipse in Singapore! December 14th 2020 - 2 min 10 sec Total Solar Eclipse! April 20th 2023 - 1 min 16 sec Total Solar Eclipse! April 8th 2024 - Total Solar Eclipse in Mexico & the USA! August 2nd 2027 - 6 min 23 sec Total Solar Eclipse! July 28th 2061 - Halley's Comet Returns! July 26th 69,163 AD - A simultaneous transit of Venus and Mercury! Spaceopedia aims to educate the world's children about the amazing wonders of our Solar System and Outer Space through knowledge accumulated over the years from studying the Cosmos using Earth based observations and data (and images) sent back from Space probes.